Folklore has long forged an association between our country’s ancient greenwood and the wild boar (Sus scrofa). The Mabinogion’s ‘How Culhwch won Olwen’ (reputed to be the oldest Arthurian tale), tells of young Culhwch and the series of outlandish challenges he is set by the giant Ysbaddaden. To marry Olwen, Ysbaddaden’s fair daughter, he must complete all of the increasingly difficult tasks the giant gives him. Then, as now, the wild boar appears to have negative press, and the image of ferocious wild boar with irascible tempers has taken root. 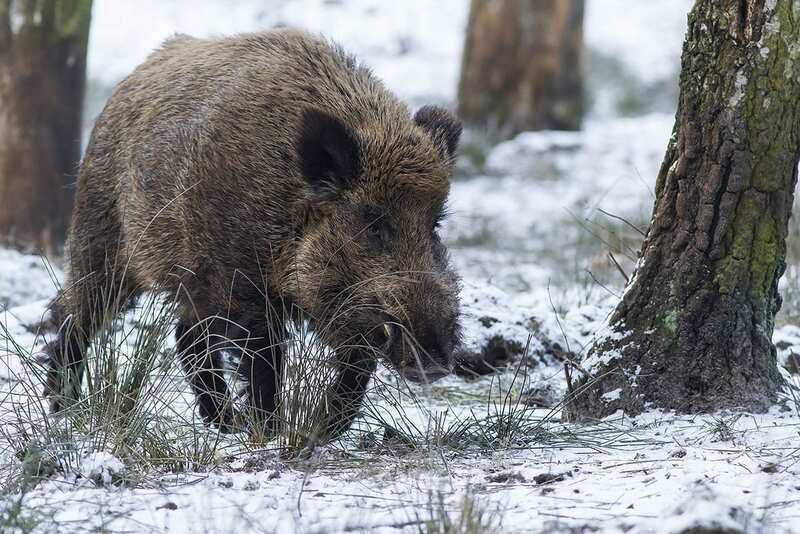 In fact, much of the media coverage regarding the reintroduction of the wild boar has centred on the supposed danger the species poses to humans. 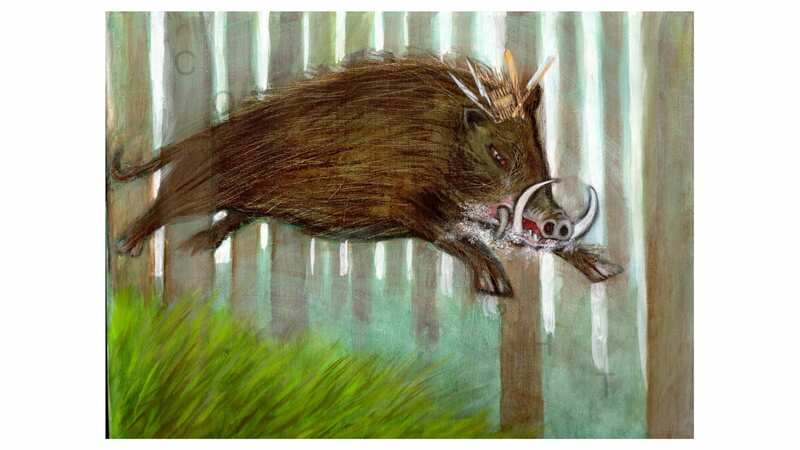 The ill-repute of this species is misguided however; wild boars are secretive by nature, avoid human contact, and when people do cross their paths, attacks are extremely rare. Furthermore, they are an important keystone species that contribute to the ecology of our woodland systems through their rooting behaviour. They also help diminish the spread of bracken, in turn increasing the diversity of plant species in bracken-dominated areas. Wild boars are mammals and have a coarse double layer of hair that is brown to black in colour. They have a bristly outer coat, with a ridge of longer hair running down their spine. They stand up to one metre at the shoulder that tapers to a smaller hind. Both sexes have tusks. They have extremely poor eye sight but this is compensated for by an incredibly keen sense of smell. Piglets are reddish-brown and coloured with yellowish longitudinal stripes, almost as if they are wearing pyjamas! They live in small social matriarchal groups called ‘sounders’ consisting of sows and their young. The males are solitary. 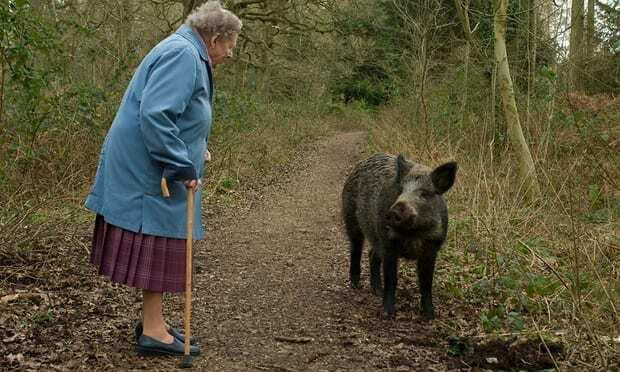 Though eradicated in the wild through hunting several centuries ago, in the 1990’s some farmed wild boar escaped and re-established a generation of feral boars in areas of southern England, proving them excellent candidates for reintroduction here in Wales.